Many decades ago, pendants were worn as decorative objects for the purpose of being a personal adornment and a way of expressing personal preference by form, material and decoration. In ancient times, pendants had several functions: Ornamentation, identification, protection (religious symbols), awards and, last but not least, a way of expressing the owner’s wealth and status. Some women also wore a pendant known as a pomander. A pomander is a pendant with a container for herbs, smelling salts or aromatic vinegar, and it was used for modifying bad smells. My pendant continues this tradition by combining simple ornamentation with the function of emitting a scent. 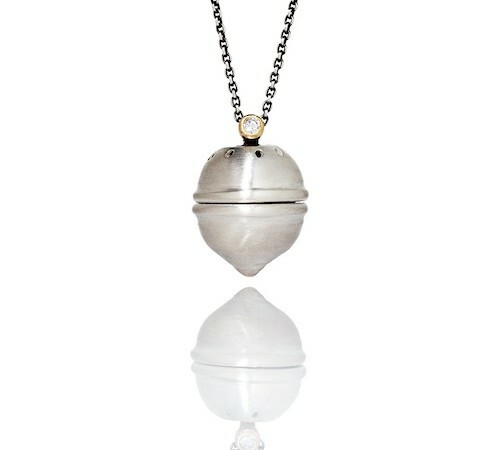 I like the idea of capturing a scent within the pendant, which slowly and gently releases a fragrance.